Mobile gambling is an emerging market in which there is evidence that some gamblers are introduced to gambling through their mobile device, and that mobile gambling does not ‘cannibalise’ participation with other forms of gambling. There is a concern that mobile gamblers face distinct risks from other forms of gambling, particularly for harmful behaviours. This paper presentation outlines a behavioural account of mobile gambling that combines both the learned characteristics of problem gambling with how individuals interact with their mobile devices. This hypothesizes that the extended gaps between plays or sessions potentially attracts extended play, even in the face of losses. We initially tested this in the laboratory using a simulated slot machine, finding that longer gaps on a gambling style of play increased the rate at which individuals gambled when they could no longer win money. To test this further we designed a simple mobile gambling app in the form of a scratchcard, and asked participants to play on the app over a period of eight to ten weeks. For the final two weeks the app was designed so that participants could not win. During this time gambling behaviour, location and the other apps the users used and intended to use before/after gambling were recorded, and measures of gambling, risk-taking and affect were taken. 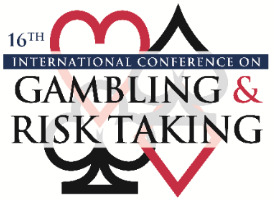 In total we collected the output of nearly fifty thousand gambles, finding that participants showed considerable perseverance in the face of losses; differences in gambling under extinction appeared consistent with a behavioural account of gambling.